Houses & Homes VA: Real Estate - A Better Investment than Gold??? 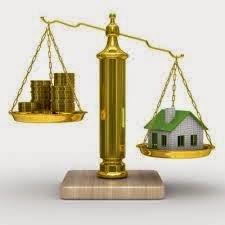 Real Estate - A Better Investment than Gold??? If you have ever been fortunate enough to have enough money to invest into something, you know how difficult it can be to find the best investment strategy for yourself. Not only do you want a secure investment with very little risk but you want to get as high a return as possible. Over the years gold has always been a very popular choice for investors and has performed well most of the time. Real estate has also been a popular choice; but, historically it has not been preferred over gold by the majority of investors. Surprisingly, a recent Gallup survey has shown that for 2 years in a row investors now prefer real estate over gold as a long term investment. This says a lot about the economy at this time and indicates that the real estate market is definitely on an upswing. After all, wise investors do not place their hard earned money into a market that they have little faith in. According to Gallup last year 33% of investors preferred real estate as the best long term investment and 31% of respondents felt the same way this year. Gold was the 2nd place choice last year and has actually dropped to 3rd place in this year’s survey. I find that to be very surprising as gold has often been considered a safe and reliable investment for even those persons with very little capital to invest. There was one exception to the rule however. Millennials and those earning more than $75,000 a year preferred stocks and bonds and real estate was their second choice as an investment vehicle. I think that this is excellent news for both the real estate market and the economy in general. We all know that real estate is a major driving force to our economy and when the market is doing well, everything else improves. Considering that so many people have enough faith in this sector to invest large sums of money over other possibly less risky investment opportunities says a lot.